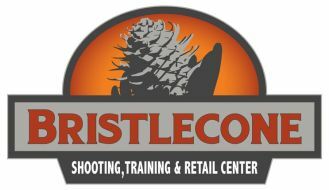 Lakewood, CO – Bristlecone Shooting, Training & Retail Center today announced its involvement in the 2018 National Shooting Sports Month in partnership with the National Shooting Sports Foundation (NSSF). Created to encourage participation in the shooting sports and emphasize firearms safety, this nationwide celebration will take place throughout the month of August. Whether you’re an experienced competitor, a hunter or a person just becoming interested in acquiring their first firearm and learning how to shoot, NSSF’s 2018 National Shooting Sports Month has a range near you working to encourage your skill building and firearms safety education. Visit shootingsportsmonth.org to learn more, and be sure to “Like” NSSF’s Facebook page to see updates from other ranges and retailers near you participating, as well as stories from friends and family across the country helping everyone celebrate this special event. Have plans to head to your National Shooting Sports Month participating range in August? Tell us about your experience on Facebook, Twitter and Instagram with the hashtag #LetsGoShooting.